The North of Thailand is full of unseen beauty and natural landscapes, that seem to go on forever. Fields of flowers path the hillsides, and the amount of waterfalls are never-ending. When heading to Chiang Rai, it’s expected to be no different. Take that and throw in some breathtaking / awe-inspiring cultural landmarks – and it’s like you’ve hit a travel jackpot. FYI, the best time to hit the North is usually in Winter, when the flowers come out in full blooms – and a sea of clouds dances through the mountains daily. Chiang Rai ís also one òf those destinations that thrives in winter time. With so many places to see, where on earth to find the time? Not to fear, we’ve found some of the best activities and attractions for you to visit – that will make you feel like you’re floating in a winter wonderland. Sunflowers and waterfalls, what could be more beautiful? In my opinion, nothing! Doi Hua Mae Kham is located in the northwest of Chiang Rai, close to the Thai-Myanmar border and about a three-hour drive from downtown Chiang Rai. 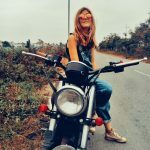 It’s only accessible by car or motorbike as there is no direct transport, so we’d suggest staying overnight (unless you’ve hired a private car/driver). You can camp alongside the mountain tops – can you IMAGINE waking up in a field of yellow flowers??!! Due to the high altitude, the climate is quite cool and November is usually the most suitable season, when the sunflower blossoms are the most lush. The ethnic minorities on the mountain celebrate a national cultural festival during this annual flower season, and everything is really lively and full of colour this time of year. It’s also littered with waterfalls and trekking through deep fairy forests will lead you to the Doi Hua Mae Kham Waterfall. PS: The Doi Hua Mae Kham Hill Tribe Culture & Sunflower Festival is usually on the second Saturday and Sunday in November. We were blown away by the intricate beauty, colours, vivid details and imagination displayed at Wat Rong Suea Ten (also known as the Blue Temple). It’s definitely not your average temple with incredible artistry to it, as if Dali had some sort of say in it’s structuring. It’s blue exterior and statues are super captivating, but just wait until you step inside. It’s a beautiful masterpiece really…. With incredibly life-like nature murals on the inner walls of the temple, to the detailed designs of the dragons and Thai mermaids outside – this must-see temple is simply breathtaking. Wander through the tea plantation, smell the fresh mountain air tinged with the scent of tea – and head into a cafe for delicious drinks and nibbles. With views of rolling valleys, this tea plantation is a seriously beautiful spot. It’s a perfect place to snap about a billion photos against the tea plantation backdrop. Naturally, the restaurant showcases tea in all it’s glory; try their green tea cake, ice green tea and green tea smoothies! What about some tea to bring back home for friends and family! It’s seriously delicious! The shop allows you to taste 3 different types of teas that are grown at the plantation, and you can purchase the tea if you wish. *Spoiler alert! * That’s not water! If you’re familiar with the famous Ha Long Bay in Vietnam, you’d recognise the towering limestone island topped with a thick forest rising from the water. That is what Phu Lang Ka looks like. Instead of water, you’ll see the sea of mist creeping and rolling on the ground with limestone mountain tops peaking through. Still a lesser known destination to travellers, it offers a very unique sight unlike others. It’s equally beautiful during both sunrise and sunset. The best spot to see the mist is at Phu Lang Ka Resort, where you can get the best view from your balcony. There’s also a café for you to chill at – take a seat at Mountain Cafe, sip coffee and enjoy the unforgettable view. You can also visit Pang Kha Royal Project Development Center, 30 minutes from the resort, to explore your way through wintry flowers, fruit, and vegetable farms. In the sleepy local village of Doi Pha Mee, enjoy life in the slow lane for awhile, and immerse yourself in the culture of the traditional Akha tribes. Again you’ll find yourself high above the mountains, 1 400 metres to be exact in this case – and Phufa Zaje is the perfect place to relax and learn about a different way of life. The homestay is simplistically designed and the restaurant sells traditionally Akha food – which is amazing from a foodie’s point of view – new cuisines, yes please! Handmade bowls are filled with food and the beautiful dishes let people feel the heart and love of the chef in each meal. Jump back into time to a world of aristocratic beauty and old-English charm, with this colonial-style garden restaurant. It’s located alongside the riverbank of the Mae Kok River so naturally, the scenery is amazing – especially during sunset. It’s hidden among a moss of greens covering the building – think england in the 50’s – and they’ve got the quaintest little tea garden vibes going on outside. The outside patio stretches around the river next to it! Here they serve everything from pizza to pasta, as well as a beautiful selection of cakes, pancakes and other sweets that look scrumptious. At this restaurant that feels like an English countryside manor by the river… whether you dine in or out, the views are similarly lovely. The inside is beautiful and it feels like you’re sitting in a menagerie / greenhouse as a glass rooftop covers one section – and tables and chairs are a mismatched collection of and white whickers. It’s definitely got that bistro feel with a menu to go with the title. It’s a fusion of comfort Western and Thai fare. They’ve got delectable drinks, and their cakes and pastries are served high-tea ‘style’. Everyone knows that a great view is one of the best ways to set the tone if you’re looking for a romantic time – or simply, divine interiors and exteriors. Hacienda gives you stunning valley views, in charming cottage-like surroundings. It’s like some sort of vintage Victorian folk like cafe, and I thought a little bit about Snow White here for some reason. If you’ve got a craving for European cuisine, this is just for you! I’m talking fresh pasta with scallops and prawns to Strawberry milfou. Apart from that, we’ve tried the food and can vouch for its yumminess. (I had second servings of my simple breakfast choice, potato in a shrimp jacket. X.X) Enjoy! 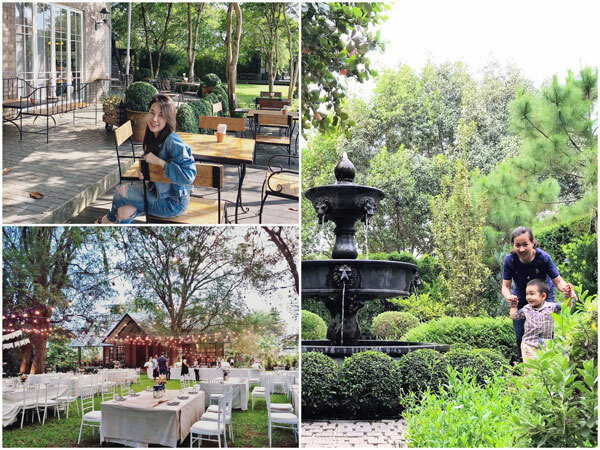 Just as the South is all about seafood, the North is all about eating green, so of course, we’ve found a beautiful, 100% organic green restaurant located on a luscious piece of farm land. Get lost in fruit trees – which you can actually pick from yourself, as well as veggies, and mountains of greens – 80 hectares worth! Here, it’s all about sustainability and you can feel their sincere care for nature, animals and the local people. It’s also a homestay and they do packages including all meals, accommodation and farm activities. So if you feel like living the slow paced life, waking up to the sun rising in the mountains ahead for a few days – and enjoying what it life is all about, you may just find yourself stuck here for awhile. 10. Adventure and Instagram your way through this flowery landscape – Doi Tung. Heard of Doi Tung? It’s one of Thailand’s Royal Projects – and it’s something like an inspiring Swiss escape with the romantic wintery flowers, with that perfect winter climate. Being here feels a little like you’re in Switzerland. From the well-manicured royal gardens (AMAZING)… to the Swiss-inspired Royal Villa where the late HRH Princess Srinagarindra made home… it’s a place full of history, beauty and culture. You’ll spend at least 3 hours here, wandering through different landscapes and exhibitions, checking out the local shops, and getting an inside look of the Royal Villa. We’d really recommend doing the tour as you learn about the late Princess Mother. After the tour, you will walk away fully inspired. True story, this tour made us think more about the way we live our lives! The Doi Tung Festival only happens during winter weekends, so plan your trip – and admire the festival art as you walk along. There’s also a bazaar where a plethora of local goods and food awaits. Don’t forget to check out the different workshops available for you to join, from pottery to weaving – it’s time to get creative! Also known as the White Temple, Wat Rong Khun is Chiang Rai’s most famous temple. The intricate design has been planned down to every minute detail. The immaculate white color is incredibly striking, and some of the features and sculptures are downright creepy! Taking an ordinary temple design one step further are the thousands of pieces of white glass embedded in the walls and sculptures. When the sun reflects off the glass, a glimmering aura surrounds the whole complex. The white color is said to represent the purity of Buddha, and the glass stands for His wisdom. The temple’s overall whimsical appearance creates the illusion of stepping into a fairy tale. The temple has been under construction for 10 years, and the project is still ongoing. The Thai artist, Chalermchai Kositpipat, who is credited with creating this structure, says he plans to continue to build for many years to come. Price: Free! However, donations are welcome. Located at an altitude of 1200-1500 meters, this used to be an opium poppy field. Now, Doi Chang has since been replanted with coffee beans and is a very beautiful place. When the fog is strong, people actually feel that they are in a fairyland, oh we’re flying high! At this famous coffee village – their beans are used all over Thailand so you should grab a bag whilst up here. It’s perfect for coffee lovers, and you can discover the stages of coffee cultivation and processing through tours around the coffee plantations. The cooler weather is perfect for growing their Arabic beans, as well as maple trees and cherry blossoms blooming everywhere…um, are we in Japan or what?! Stop at Doi Chang cafe for a caffeine refuel, unwind in the hilltops, enjoy some little cakes and fill your nose with the smells of freshly roasted beans in the air – is there really anything better? Enjoy a bout of shopping, have dinner here, and explore the local night market. 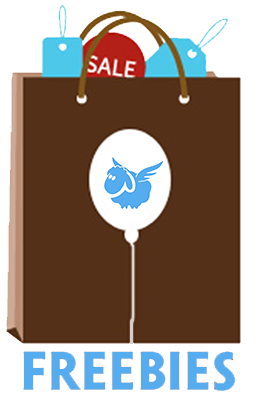 There’s much available, so if you’re looking to spoil your partner, or family and friends, we suggest picking up a little gift along the way to surprise them. They sell a ton of locally made handicrafts which are actually stunning, and really make for the perfect souvenir (or place in your home). PS: Beside the Chiang Rai Walking Street, there’s also another walking street called Chiang Rai Khon Muan Street. This one is as same as Chiang Rai Walking Street, with many foods and sounenir vendors, only that Chiang Rai Khon Muan Street is available on Sundays only. 14. Last stop, shop till you drop – Chiang Rai Night Bazaar. This place is huge, but that only means you guys will be able to explore to your heart’s content! From shopping (clothes, traditional tribal items, semi-precious stone jewellery, etc) to food, and random Thai concerts, you’ll be sure to have a good time. If you’re hungry after some walking, check out the food court! There’s lots of delicious and interesting food there. It’s quite cool actually, it’s divided into two zones. Locals wearing traditional hilltribe clothes to the one side, sell traditional Thai, whilst the casual jean and tee-wearing Thai’s blast country music and offer less traditional style foods. Make sure to keep your eyes peeled for the store that sells the claypot soup. We had it, and it was perrrfect for the cold winter nights in Chiang Rai! Also, everyone loves a good bargain and this is one of those places where you’re gonna find it! Now it’s not as eerie as you might expect, and curiously fascinating sights await you. It’s a museum/art studio that comprises of many different little buildings. In each of them, you find something increasingly strange, super bizarre and enchanting all at the same time! If art is your thing you’re going to go nutters, or simply if you’re looking for something intriguing to look at. The installations here are definitely…different. There’s an ENTIRE elephant skeleton, snake-skin table runners, and thousands of animal remains become art. Wack or what? Tiptoe around the ‘mouse house’ as we’ve affectionately termed for example. It’s hard to catch a glimpse of what’s within. The only way to check it out is through the intentional peep space through the chained doors. It’s truly what I what call ‘gothic ethereal’ and a magnificent work of art, well done Mr artist Thawan Duchanee. Do you love learning about local culture from Thailand’s hill tribes, but don’t want to visit overly commercialised villages? Baan Huay Kee Lek is an isolated hill tribe that not many tourists know of, though it is one of the six hill tribes that are recognised by the Thai government. When you’re here, you will be introduced to their local traditions and lifestyle without disrupting their daily lives. You’ll see women drying beans under the sun, agricultural crops such as rice and vegetables, and livestock such as pigs, cattles and chickens. Generally in Thailand, almost every tribe has its own unique traditional clothes that distinguishes one tribe from another. Akha women are dressed in black clothing with long broad sleeves and caps decorated with silver coins. If you want a truly immersive experience, you can even do a homestay with the locals! Doi Pha Tang (literal translation meaning “hill cliff standing vertically”) lives up to its prophetic name. Hidden away in the northern hills of Thailand – the summit of this secluded mountain allows for all-encompassing views of two countries, one river, multiple valleys, indigenous villages, and an infinite amount of natural beauty. One of the best things about Doi Pha Tang is the cool, fresh air. Enjoy the ocean mist and cooler temperatures as you stand 1,638 meters above sea level. Reach the summit at sunrise, and you can literally watch the fog roll through the valleys as you sit above the clouds. If you visit between December and February, you’ll be lucky enough to witness the cherry blossoms in full bloom. Camping is allowed, so you can enjoy the privacy and tranquility of this secret mountain top as long as you’d like. PS: Remember to buy local produce on the road side. Fruits like apricots, plums, peaches, cherries, and Chinese pears thrive in these lower temperatures, and are often hard to come by in other areas of Thailand. In Doi Pha Tang, they are fresh and plentiful! Overlooking a small village along the border of Laos, if you’re on the hunt for a spectacular view this forest park in a sea of clouds is just for you! 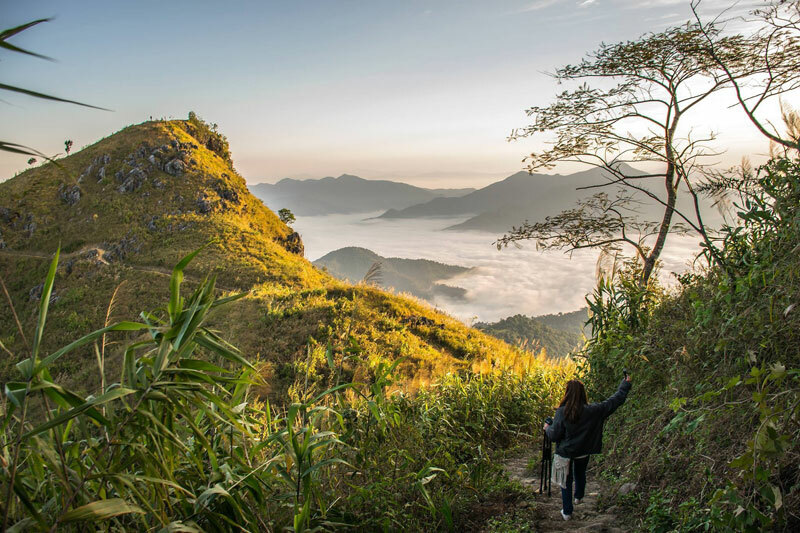 Make your way up a 1 kilometer hike to the peak of Phu Chi Fa, and get ready for a breathtaking background! The best time to witness the clouds from above is usually sunrise (we’re talking 5am) so make sure you’re up early and dressed warmly – it gets icy cold and the best time for this viewpoint also happens to be in winter. It’s a little drive out of Chiang Rai, so we suggest making a day-trip out of it. Explore the small hiking trail, winding mountain roads, hill tribes, as well as waterfalls! With the sparkling river views and good authentic Thai food, this quintessentially Thai restaurant is a great place to dig in. Have quality conversation and enjoy your peaceful dinner by the river. There’s an abundance of green ferns hanging everywhere, and it’s set in a super open space – so you really feel as close to the water as possible! If you’re in the mood for seafood (and spice) try their Ruby Fish (the meat is super sweet and of course has a pink colour). Diced and fried, it’s mixed with peanuts, corn, chilis and herbs. Perfect for a shared starter nibble! PS: If you’re here during Loy Krathong (a festival that falls during the end of the year sometime in November), you’ll be able to join in the festivities here too! We all know the reason we visit a hot spring is not simply to make a snack, but more so for the purifying and cleansing, as well as it’s natural healing purposes. This one is a little different and for those that don’t like to be too far away from civilisation. You’ll be just steps away from restaurants and souvenir shops, from where you’re boiling your hot spring eggs. PS: The springs here are extremely hot, I’m talking 90 degrees celsius hot, so dip your feet in sparingly for a few minutes – or seconds – only! Phew, what an incredible, incredible place Chiang Rai is. It’s one of those at least once-in-a-lifetime must-go destinations, and you simply have to put this on your bucketlist!